succeed, they will bring peace and prosperity to the Lands of the Eleteh. 1. Press enter to start the game. 2. Select unit that you want to move or attack with using numers 1, 2, 3, 4, 5. 3. On the right of the screen, you can see stats of the selected unit. 4. Move characters by using arrows on your keyboard. 5. 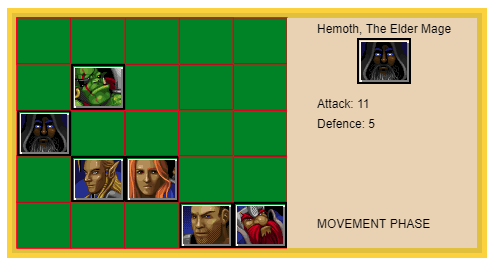 You can move only one square per turn. Same goes for enemies. 6. Press esc to end the turn. 7. Kill all the skeletons and orcs! Good (same goes for enemies). The game is over once you destroy all your enemies or die. P.S. AI is on super-easy mode.